On May 1, 2014, a new pricing strategy will be implemented to ensure a variety of benefits for Team Members and customers alike. ProArgi-9+ canisters and single serve packs will now be priced equally, simplifying your choices and your ordering process overall. An even greater benefit of the new pricing structure is that it rewards greater savings with increased quantities purchased. In fact, the ProArgi-9+ Jumbo now includes a box of single serves for convenience on-the-go and even greater savings than before! The 100 CV Autoship qualification introduced with the Autoship 100 program in 2012 will remain unchanged; however, the Autoship 100 packs will no longer be available as of May 1, 2014. The intent of the Autoship 100 program was to draw attention to the importance of Autoship while allowing people to qualify for commissions at the lower level of only 100 CV (as opposed to 120 CV). These business benefits will still remain; we are simply eliminating the promotional pricing but keeping the qualification parameters. Anyone who has an active Autoship template containing one of the Autoship 100 packs as of May 1, 2014 will automatically be grandfathered in through August 2014. Synergy’s new Jumbo + Single Serve offering puts ProArgi-9+ at just $1.14/serving – the lowest price offering at this quantity since the product’s introduction! 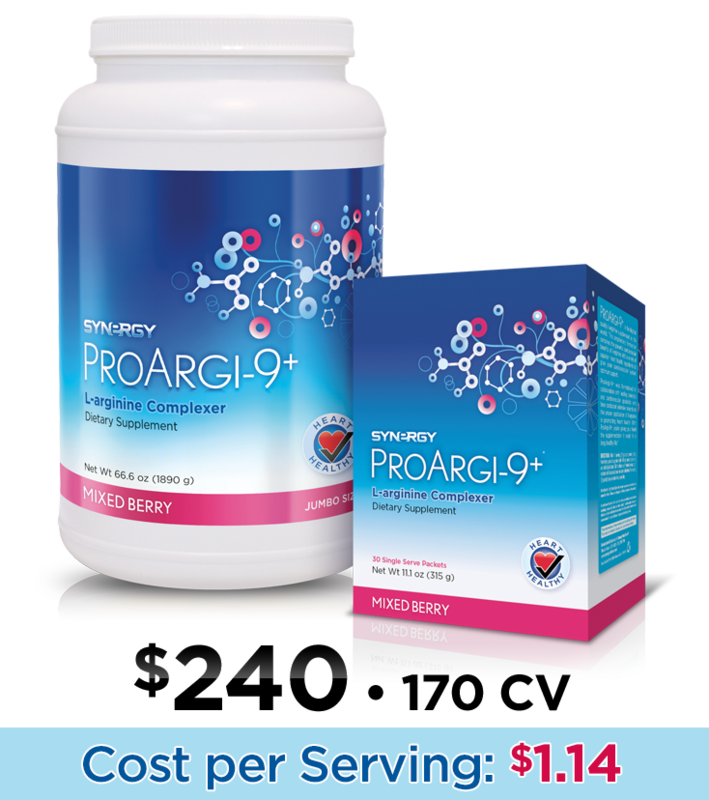 The bottom line is that the 100 CV qualification level is here to stay*, and you and your customers can continue to save on Synergy’s top-selling product— ProArgi-9+. If you have any questions regarding this announcement, please contact Customer Service at 801-769-7800. *100CV Autoship qualifies Team Members for all commissions with the exception of Elite Rebate. Those who are not enrolled in Autoship can only qualify for those commissions by meeting a requirement of 120CV.